Jakarta Provincial Government has completed 99.5 percent asset recording from 725 SKPDs and UKPDs.
" Based on data, we have recorded 99.5 percent assets"
"Based on data, we have recorded 99.5 percent assets. 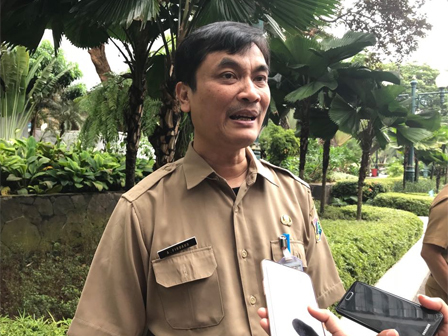 We are still waiting for remaining SKDPs that have incompatibility in asset," said Achmad Firdaus, Head of Jakarta Asset Management Agency (BPAD), Monday (1/22). SKPDs that haven't completed asset data are Transportation Dept. (Dishub), Education Dept. (Disdik), and Health Dept. (Dinkes). According to him, SKPD hasn't completed asset report due to many working units under the department. "For example is Dinkes. They have many puskesmas," he added. But, his side will record asset as Jakarta Vice Governor, Sandiaga Uno instructions. "We will keep record it continuously until BPK audit gives a clear result," he stated.